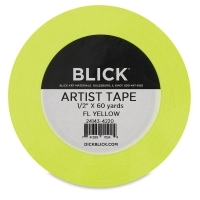 Blick Artist Tape is a multi-purpose paper tape that is essential for many art projects. It has a repositionable adhesive backing that does not leave residue when removed. 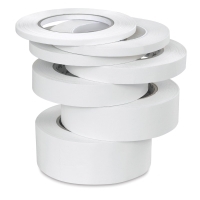 Use this tape for mounting, blocking out mechanicals, flapping, cover hinging, color coding, and more. 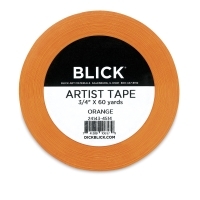 It can be used on illustration boards, art papers, photos, acetate, vellum, and layout paper. 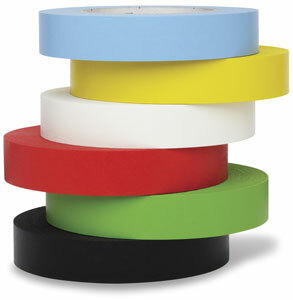 Its surface accepts markers, pens, and pencils. 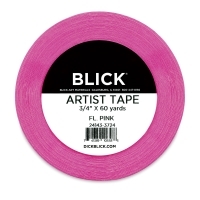 Blick Artist Tape is available in 60 yard rolls. 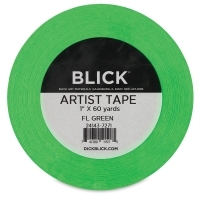 Choose from seven saturated colors or white.